Lucknow: The BJP on Thursday denied tickets to its six sitting MPs from Uttar Pradesh, including Union minister Krishna Raj and National Commission for Scheduled Castes chairman Ram Shankar Katheria. The BJP Thursday announced its first list of 184 candidates for the Lok Sabha elections, fielding Prime Minister Narendra Modi from Varanasi and Home Minister Rajnath Singh from Lucknow. 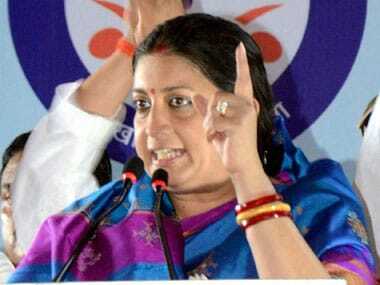 The party re-nominated Smriti Irani from Amethi to take on Congress president Rahul Gandhi. Besides Krishna Raj (Shahjahanpur-SC) and Ram Shankar Katheria (Agra-SC), others who have been refused party nominations are: Anshul Verma (Hardoi-SC), Babulal Chaudhary (Fatehpur Sikri), Anju Bala (Misrikh-SC) and Satya Pal Singh (Sambhal). Krishna Raj is the Minister of State for Agriculture & Farmers Welfare. 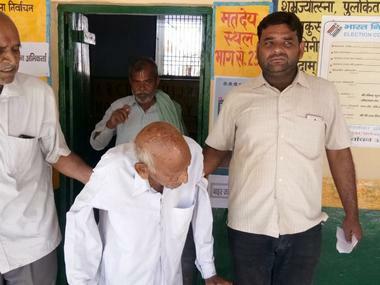 The new candidates fielded from these constituencies by the BJP are: SP Singh Baghel (Agra), Parameshwar Lal Saini (Sambhal), Raj Kumar Chaher (Fatehpur Sikri), Jai Prakash Rawat (Hardoi-SC), Ashok Rawat (Misrikh-SC) and Arun Sagar (Shahjahanpur-SC). In last elections in Varanasi, Modi (5,81,022 votes) defeated AAP leader Arvind Kejariwal (2,09,238) by 3,71,784 votes. In Lucknow, Rajnath Singh (5,61,106) defeated Rita Bahuguna Joshi (2,88,357) of the Congress by 2,72,749 votes. In Amethi, BJP's Smriti Irani (3,00,748) lost out to Rahul Gandhi (4,08,651) of the Congress by 1,07,903 votes. In the first list in UP, the candidates who have got the ticket are: Raghav Lakhanpal (Saharanpur), Sanjeev Kumar Baliyan (Muzaffarnagar), Kunwar Bhartendra Singh (Bijnor), Rajendra Agrawal (Meerut), Satya Pal Singh (Baghpat), Vijay Kumar Singh (Ghaziabad) and Mahesh Sharma (Gautam Buddh Nagar). Of them, VK Singh is Minister of State for External Affairs, Mahesh Sharma is the Union Minister of State (independent charge) for Culture, while Satya Pal Singh is the Union Minister of State for Human Resource Development. The current Lok Sabha MP from Bijnor is Kunwar Bharatendra Singh. 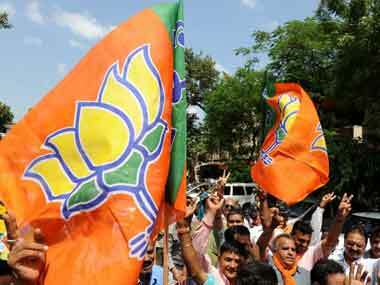 The BJP also decided to give ticket to its sitting MP Sakshi Maharaj from Unnao. 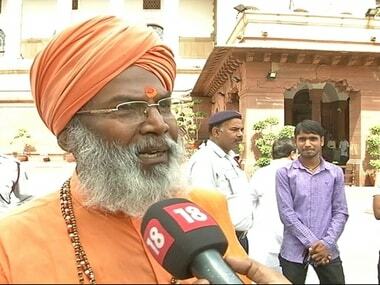 Recently, in a veiled threat to the BJP leadership, Unnao MP Sakshi Maharaj warned that if he is not renominated from the seat, "the result may not be good" for the party this time. The 63-year-old saffron-clad lawmaker said he had written a letter to state BJP chief Mahendra Nath Pandey in this regard on 7 March. 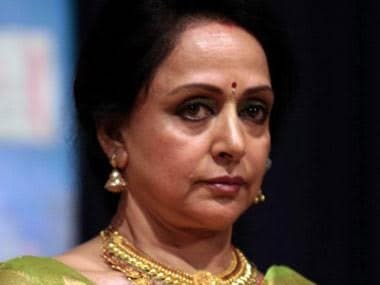 "The result may not be good (for the BJP) if the party takes any decision (other than fielding me from Unnao)," the four-time Lok Sabha member said. Other prominent candidates fielded by the BJP are Union minister of state (Independent Charge) Labour and Employment Santosh Kumar Gangwar (from Bareilly) and Hema Malini from Mathura. The parliamentary constituencies in the state, which will vote on April 11 in the first phase of the Lok Sabha elections are Baghpat, Bijnor, Gautam Buddh Nagar, Ghaziabad, Kairana, Meerut, Muzaffarnagar and Saharanpur.